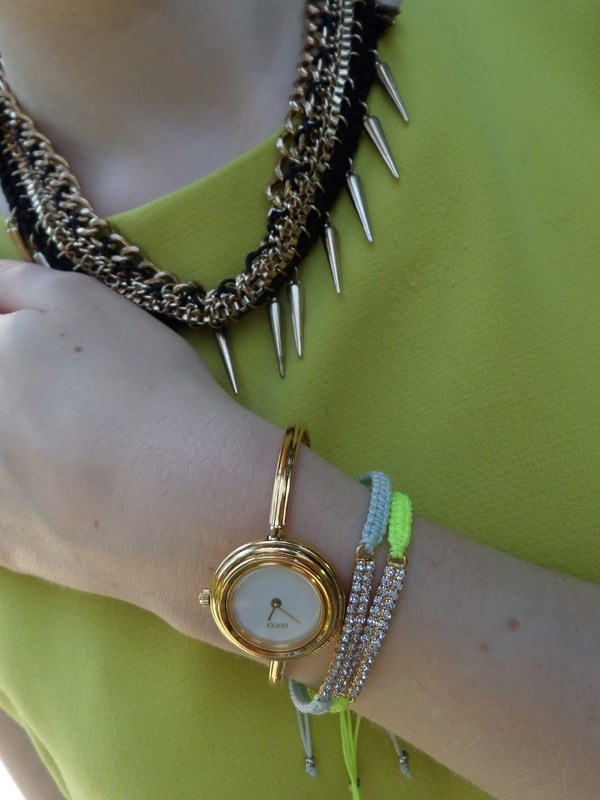 For today I have another summery outfit combining neon and gold details. Summer is almost over, which is always sad, but I'm looking forward to fall fashion. Not so much the rain and wind, but no way in stopping that. What are you wearing in these last days of heat? This dress looks beautiful on you. I love the color. You styled it great! Love your ballerina flats. This chartreuse green is fast becoming my favorite summer color! You look gorgeous in it, even tho you are a blonde!! I love that dress on you. Simple but so chic. Lovely dress, love the colour!!! This is super cute! Love the dress! So pretty! Beautiful dress! I love the colour and the simple cut. Great necklace too! green color suits you really good! The dress has such a beautiful color!